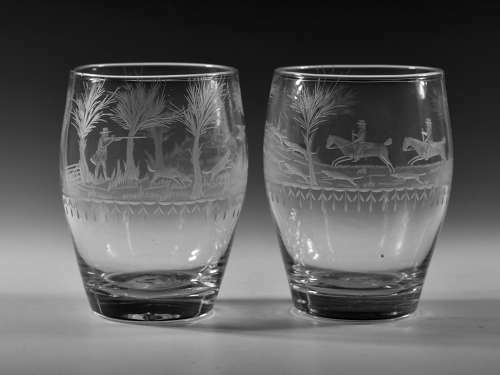 A fine large pair of barrel bowl hunting tumblers engraved with sporting scenes, one hunting and the other shooting. English C1800. Illustrated: The British Antiques' Dealers Association 90th Anniversay Exhibitions. Rare English Tumblers 1750-1830 A Loan Exhibition. Delomosne & Son Ltd March 2008. No. 46.